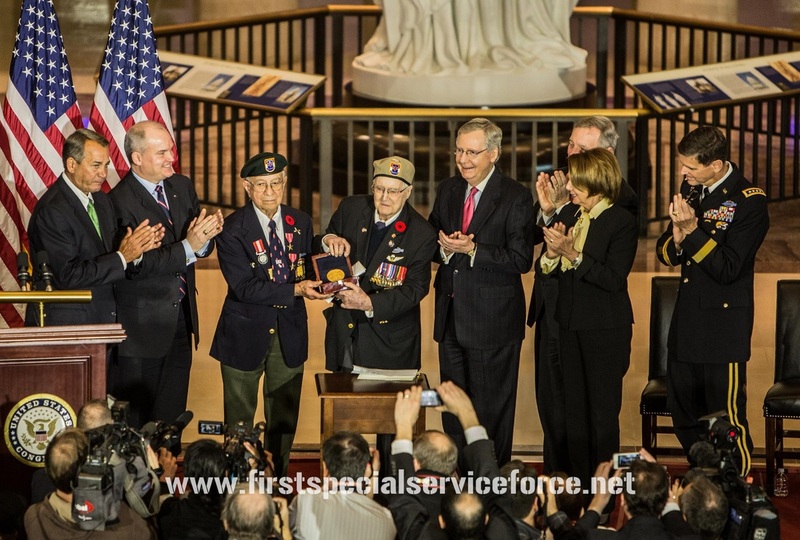 This Website is dedicated to ALL of the members of the First Special Service Force. those that still live today. The First Special Service Force history is not currently represented at The Military Museums [TMM] in Calgary, yet it is an integral part of Alberta and Canadian history. There is no greater opportunity to preserve the FSSF history than now. The Senior Curator and staff have long talked about finding a place to exhibit FSSF artefacts in the museum but with little success outside of a small glass cubicle display in a hallway. A new exhibit space has become available and the museum staff have come up with a plan to develop a room in the lower level of the museum beside the Naval Gallery. Currently the room holds a collection of WW1 uniforms. There is an opportunity to develop one or two larger display cases to permanently display a FSSF collection and to also turn this room into an interactive educational space for both WW1 and WW2. There will be a large TV screen to display educational documentaries relevant to both the First Special Service Force and the existing WW1 collection. This will be a fantastic opportunity to draw attention to FSSF history to a wide array of audiences.. There is support from the director of the Museums and they have begun the process of securing funds for the displays and room development. From 2002-2007 TMM underwent a $27,000,000 campaign re-branding and expanding to change the museum from the Museum of the Regiments to the Military Museums. In 2018 an announcement was made from Ottawa that TMM would be embarking on a new $50,000,000 capital campaign to expand once more. Upon successful completion, TMM will house the new Afghanistan War museum of Canada. The museum is reaching out to families and collectors to help supply FSSF artefacts, stories and footage to supply this exhibit either through permanent or loaned relevant paraphernalia . I have met with the Senior Curator and staff to help start the wheels rolling. This will go a long way to help educate and secure the long term legacy of the men of the First Special Service Force. A team will be put together to help locate any items and stories from the training in Helena to today. Anyone who would like to help by working on this project , donating, loaning or locating anything that will represent the First Special Service Force , please call me. ﻿﻿IMPORTANT INFO - THERE IS ONLY ONE Gold Medal made by the US Mint. It is awarded to the members of the FSSF as an entire unit, NOT INDIVIDUALLY. You, your relative or anyone cannot receive a medal from the US Govt. However, there were BRONZE replicas of the medal made available from the US Mint for ANYONE to purchase regardless of their affiliation to the force. This way you can buy one for your loved one or yourself. ​US Mint with the links below. Congratulations to the men of the FSSF!!! Below is a slideshow of each Veteran that attended the CGM ceremony. These were taken by Eric Morgensen during the Canadaian Embassy Ceremony.